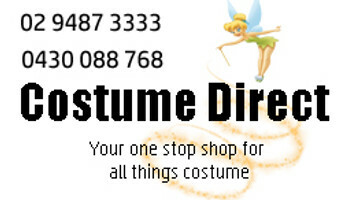 Costume direct has the best range of kids costumes in Sydney! This online costume store has children's dress ups for all ages and fast shipping so you have your costume in time for your event! Welcome to kids fancy dress costumes galore! Whether your child is newborn, toddler, in primary school or a teen, Costume Direct has the perfect look to make your little one even cuter! From Disney costumes to superhero suits, animal onesies to movie character outfits, you will love our selection of high-quality costumes that will suit any party theme, Book Week parade or Halloween! Plus, we have sizing charts available for all costumes so you will ensure you select the best fit! Children's costumes next day delivery!